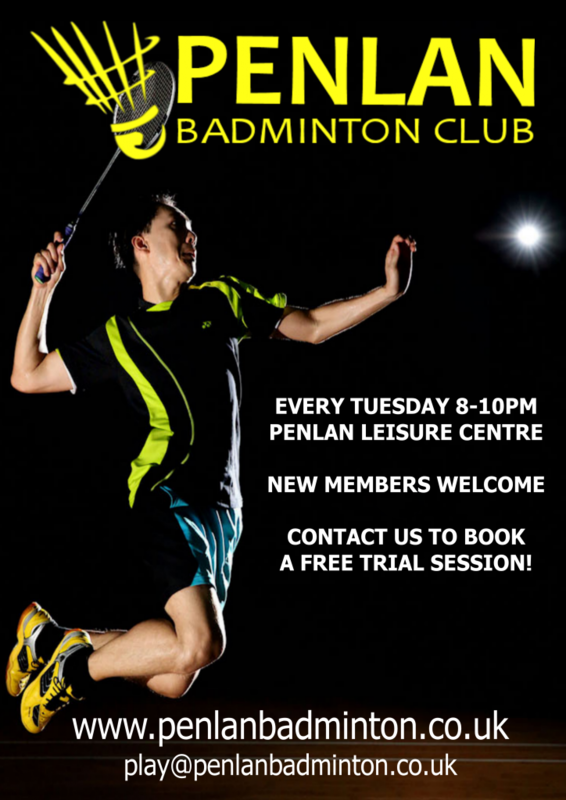 Join Swansea’s most popular and fastest growing badminton club – Penlan Badminton Club! Why Join us at PenlanBadminton.co.uk? We welcome male and female players of all levels and ages to play at Penlan Badminton Club. Some of our members have played for a year and other players that have played over 30 years. We don’t close to Guests. As a club we stay open all season to guests thanks to the way we structure our match nights and the great relationship we have with our centre. We regularly invite members of other clubs and offer free trial sessions to anyone looking to participate in the sport of badminton. Between September and May, all we ask is that anyone coming to play is able to maintain or increase the level we have established and that players are available to play matches on other nights when needed. Our club committee regularly organise social events. Club golf events, footgolf through the summer and we often meet up for food and drinks. For us strong social ties build a stronger club. If you would like to join a great club, have fun and develop your badminton, then Penlan Badminton Club is the ideal choice. We meet every Tuesday at Penlan Leisure Centre from 8 – 10pm. Why not pop down and see us? Penlan Badminton club are friendly, welcoming club play in the Swansea and West Glamorgan District League. Our teams compete at all levels in the local league structure. Playing doubles badminton with male, female and mixed pairs and we are always on the lookout for new and experienced players to join our club. Look through our website and contact us for further information.With links to social clubs in the area, if a competitive club isn’t for you, we can suggest something more suitable. Use the contact form provided to book a free trial session.